With the new era of the Sustainable Development Goals (SDGs) and the accompanying Global Strategy for Women’s, Children’s, and Adolescents’ Health (2016-2030), there is an increasing emphasis on health systems that are patient-centered, holistic and integrated rather than vertically-driven and aim to reduce inequity by serving the most vulnerable and hardest-to-reach populations—all very laudable objectives indeed; but do health systems have the capacity to deliver results? Although there have been many efforts to improve capacity related to the key building blocks of health systems, such as sufficiently qualified staff and managers, functional equipment, reliable medicines and supplies and adequate data collection, there has often been insufficient attention to building appropriate capacity within the health system to achieve a better balance between supply and demand for essential health services. Like many countries, Zambia struggled for years to improve skilled birth attendance (SBA) with repeated Demographic & Health Surveys (DHS) showing little change between 1992 and 2007, and rates oscillating between 51% and 43%. The DHS 2013-2014 finally demonstrated an increase up to an average of 64%, but a wide urban-rural disparity persisted: 89% of deliveries in urban areas involved a SBA compared to 52% in rural areas. Recently, however, some rural districts have performed much better, achieving an average of 78% SBA. Below is an example of how Zambia has moved to make people-centered health services a reality by using maternal health as an entry point for creating a more responsive health system. The Mobilising Access to Maternal Health Services in Zambia (MAMaZ) project, implemented from 2010-2013 and funded by UK Aid through the Department for International Development, was an integrated program working with Zambia’s Ministry of Health and the Ministry of Community Development, Mother and Child Health. MAMaZ strengthened and broadened the focus of the national Safe Motherhood Action Group (SMAG) initiative, a community health volunteer program and a key part of the government’s safe motherhood policy response. The program focused on building up sustainable resources to increase communities’ capacity to respond to essential maternal health needs. 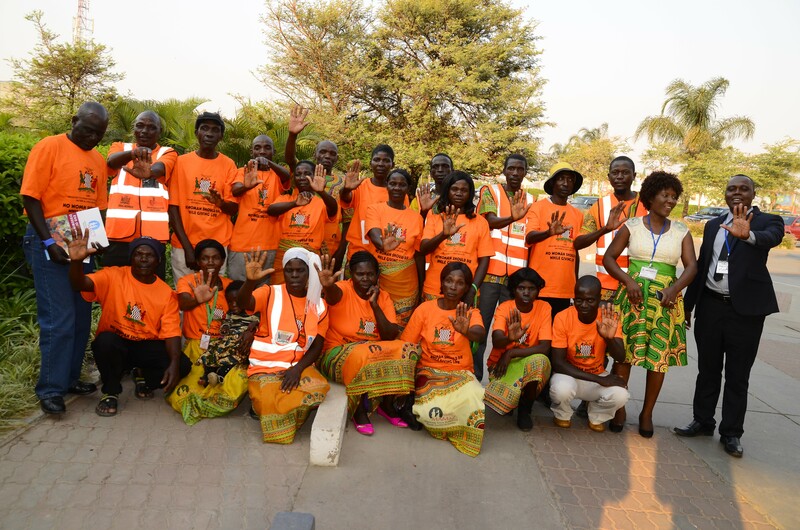 A follow-up program, MORE MAMaZ, funded by Comic Relief under the Maanda Initiative and built on the successes of MAMaZ, was implemented from 2014-2016 in new sites. The program included a stronger focus on institutionalizing the approach within the District Health Management Teams, helping them to strengthen the links between health facilities and their surrounding communities through the SMAG volunteers, and addressing issues around respectful care in health facilities. The programs reached people farther away from health centers by supporting the formation of SMAGs, providing bicycle ambulances and encouraging women to use Mothers’ Shelters at Rural Health Centers. MAMaZ and MORE MAMaZ achieved substantial improvements in key maternal health indicators including SBA, antenatal care attendance and modern contraceptive use. The programs also demonstrated achievements in terms of women’s and girls’ empowerment: According to endline surveys, women who participated in the programs felt better able to make health decisions and more confident about having a safe pregnancy. Applying key lessons learned from implementing MAMaZ and MORE MAMaZ will strengthen current efforts to scale-up SMAGs at a national level in Zambia. “Whole community” approaches, rather than interventions that target individuals or individual households, are needed to change social norms in favor of women’s and girls’ health. The many SMAG volunteers trained in the intervention sites were able to trigger a whole community response by ensuring the involvement of men, women, youth and community leaders, and in particular, reaching those most in need. Improving health workers’ communication skills and their understanding of and capacity to address social exclusion was noted as an important achievement in a review of the training. This input complemented the interventions to increase demand in communities for appropriate health services and is likely to have contributed to the increased use of maternal and newborn health services. Access resources from MAMaZ and MORE MAMaZ.